The stage name of artist who has been popping up in the Russian blogosphere as the “Russian Bansky” is Sharik, which means roughly "little ball". Contrary to his nickname, Sharik is Ukrainian, born in the city of Simferopol. Sharik took his first steps as an artist by filling the walls of his native city with his creations. Graffiti to moralize Russia. 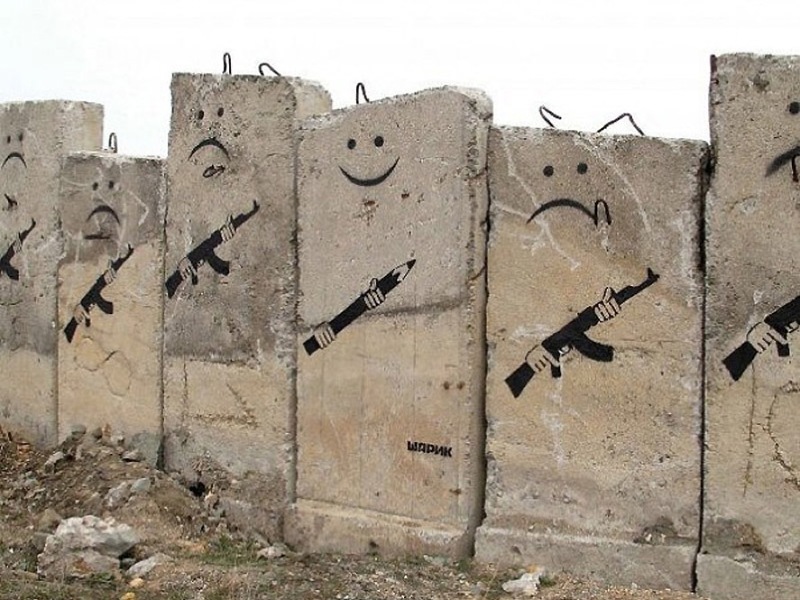 This is the goal of the anonymous artist that is covering the country’s walls with works of social denunciation and pacifist inspiration, following the steps of the better-known English artist Banksy.